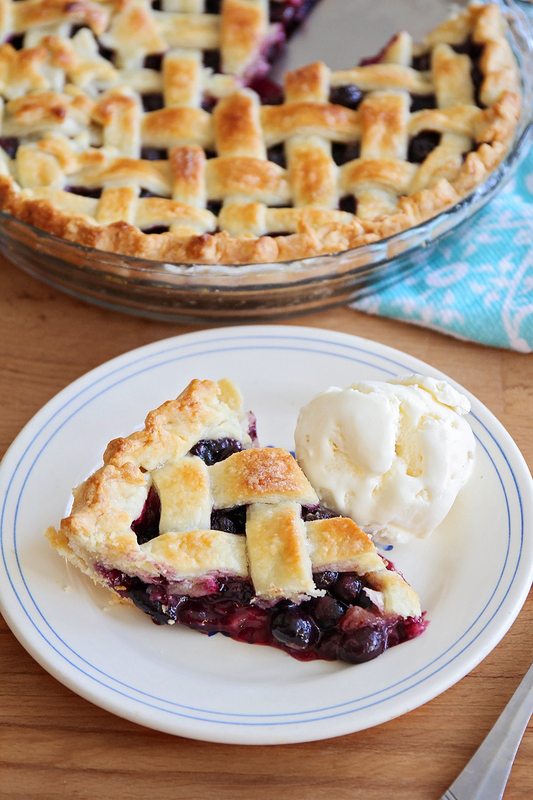 This delicious homemade blueberry pie is so simple and easy to make, you won't believe you made it at home! Ever since I was in high school, I've dreamed of making beautiful, perfect pies. Somehow, to me, pies are the pinnacle of domesticity. When I was sixteen, a boy I was dating told me that his favorite dessert was peach pie, so I set out to make one for him for his birthday. It was my first try, and it was a disaster. The peaches I bought at the store weren't ripe enough, so they were sour and hard even after the pie was fully baked. The crust was thick and flavorless and hard. My friend managed a few pity bites of the pie, but ultimately couldn't even finish one piece. I felt like such a moron for not being able to make a pie! That experience was burned in my brain, and I just resigned myself to never being able to make a good pie. I've tried a few different times throughout the years and have always come up short. 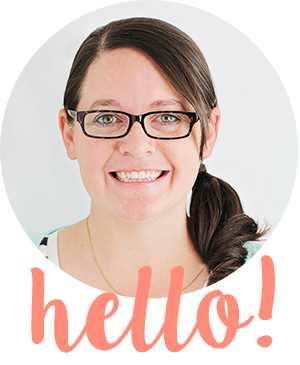 And then, just a few weeks ago, I discovered this amazing pie crust recipe, and all of a sudden, I'm a pie making machine! When we were on vacation in Utah last month, I had planned to have a full two weeks without cooking anything at all. I spend so much time in the kitchen that I was really looking forward to a break. 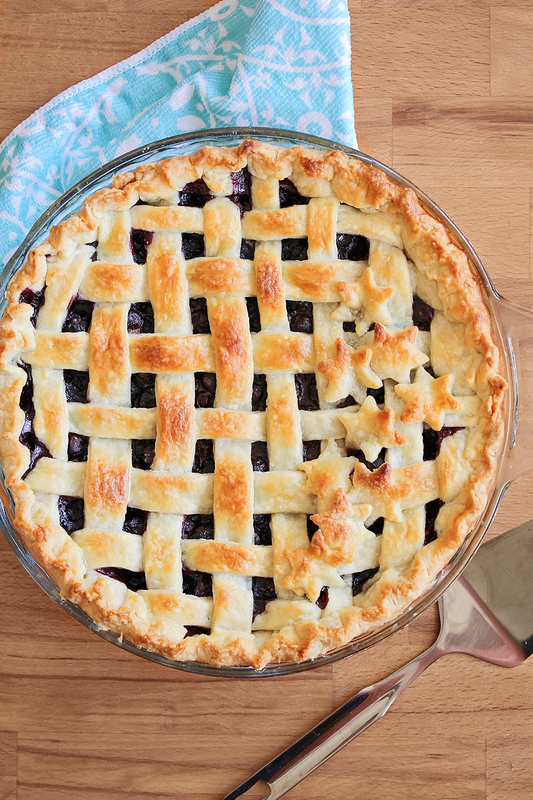 And then when my mom and I were trying to figure out what we should have for dessert on Pioneer Day (Utah's state holiday), I couldn't stop thinking about a delicious homemade blueberry pie. My mom already had all the ingredients I needed to make it, and working together, we were able to get the pie into the oven in about thirty minutes! It was so much easier than I expected it to be, and tasted amazing. It was a huge hit with my whole family, and made our Pioneer Day celebration all the more festive. The simple and delicious blueberry filling gets thick and bubbly in the oven, and the pie crust stays crisp and buttery. It's definitely important to wait until the pie cools completely before serving, so the filling sets up and is easy to cut neatly. 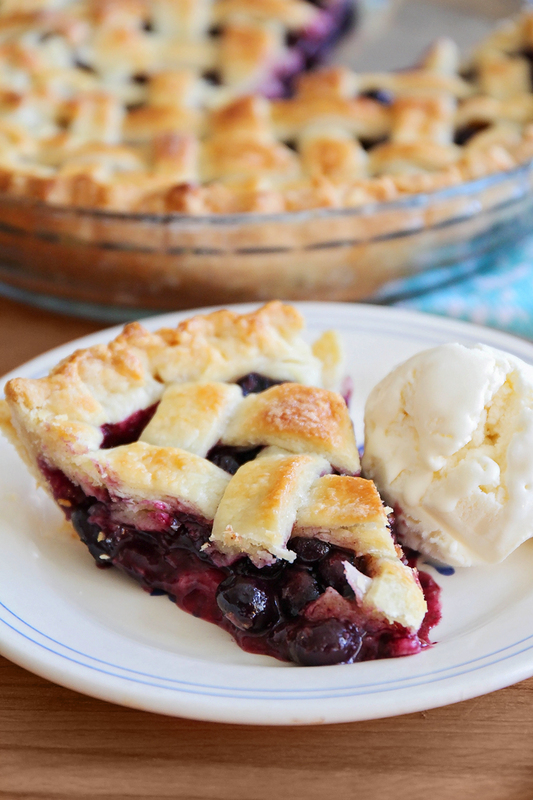 We enjoyed our pie with some vanilla ice cream on the side, and it was the perfect summer dessert! Preheat the oven to 350. Roll the bottom half of the pie crust out to fit your pie dish, and press gently into the dish. In a medium bowl, toss the blueberries with the sugar, corn starch, cinnamon, and salt. Spread the blueberries in the bottom crust. Sprinkle with the pieces of butter, distributing evenly. 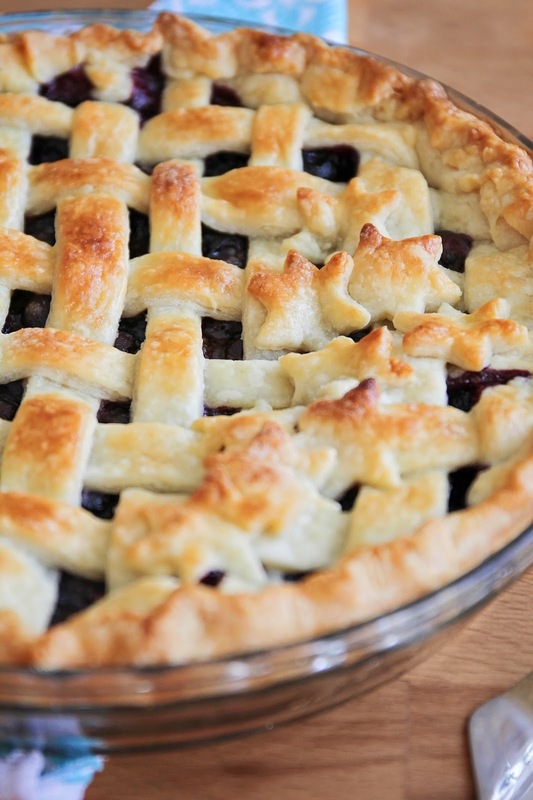 Roll out the top crust in an even layer, and cut vents as desired, or form into a lattice (this is an excellent tutorial, if you haven't done a lattice crust before). Place the top crust on top of the blueberries, cut off the excess crust, and fold or crimp the edges together. In a small bowl, whisk together the egg and water. Brush the egg mixture over the top of the crust, spreading evenly. Bake 55-60 minutes, or until the crust is golden brown and the blueberry filling is bubbling and thick. Let cool completely before slicing and serving. 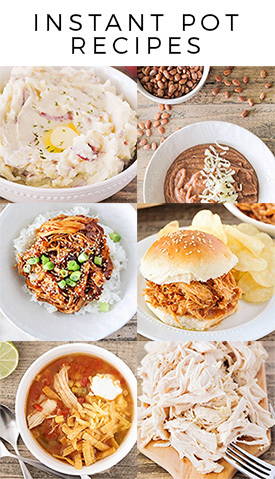 Don't forget to pin this recipe for later!